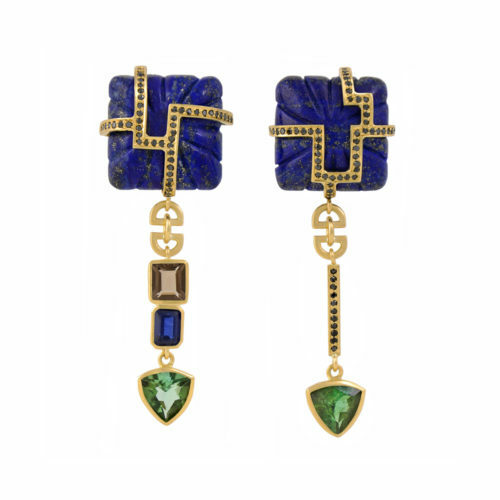 A leading forerunner in the current trend for mismatched earrings, Tessa’s one-of-a-kind Courtesans are designed to be worn together or individually for a true sartorial statement. 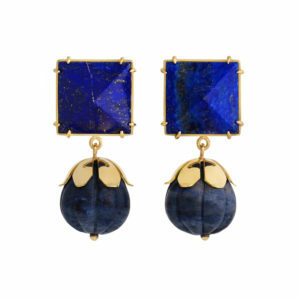 Inspired by the opium dens of 19th Century China, these earrings take their name from the colourful courtesans that inhabited these establishments. 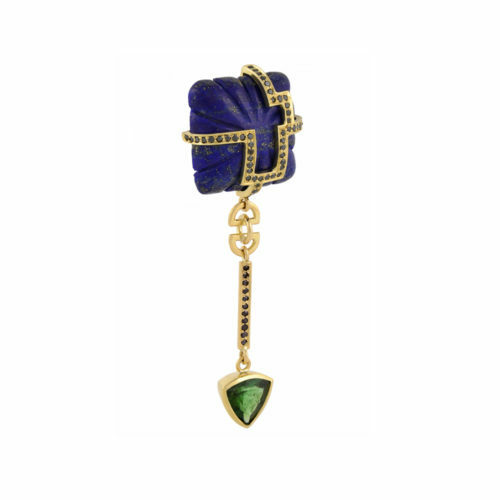 Ornately decorated with pave-set black diamonds, carved lapis and suspended sapphire, smoky quartz and tourmaline gemstones, the Courtesan Earrings bring a real sense of occasion and glamour to any outfit.